In 2018 immunotherapy for cancer accelerated its trajectory toward becoming a leading pillar of cancer treatment, with expanding indications across an increasing number of disease sites. Because the science, knowledge, and experience surrounding immunotherapy is evolving, there continues to be a critical need for detailed, practical insights on selecting and delivering therapy, recognizing and managing immune-related toxicities, and coordinating patient care across specialties. A new report from the Association of Community Cancer Centers (ACCC), Immuno-Oncology: Connecting Science, Policy, and Real-World Care Delivery, highlights resources developed by the ACCC Immuno-Oncology Institute to meet these needs. In a recent ACCC survey of over 200 cancer centers1 more than half (56 percent) of respondents report they have not incorporated any services or tools to support patients experiencing immune-related adverse events (irAEs). Only 22 percent report having immunotherapy patient ID cards and almost none (1 percent) offer an irAE-specific hotline or call service. Although patients treated with immune checkpoint inhibitor therapy may see other providers over the course of care, only 7 percent of survey respondents report that non-oncology clinicians, such as emergency department staff, endocrinologists, pulmonologists, and dermatologists, have received specific training on irAE management at their institutions. "Immunotherapy is assuming an even greater importance in the treatment of multiple cancers," said Lee Schwartzberg, MD, FACP, ACCC Immuno-Oncology Institute Executive Committee Chair. "As we enter 2019, it's important to remember that we're still really at the very beginning of this journey. With this new publication, the IO Institute provides a concise picture of clinical advances, ongoing and emerging challenges, and information on practical, process-oriented education and resources from the ACCC IO Institute." 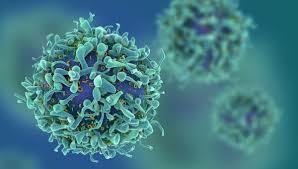 The publication includes a summary of the year's most significant immunotherapy research and clinical developments, as well as expert perspectives on management of irAEs, patient education, and coordination of care with specialists (such as dermatologists, endocrinologists, pulmonologists, radiologists) who may see patients treated with immunotherapies for cancer. Applying big data and research into practice. The publication describes the results of collaborative discussion among these thought leaders addressing not only issues pertinent to the current landscape of immuno-oncology, but also those on the horizon. "The ACCC IO Institute Working Groups are breaking new ground by bringing together interdisciplinary providers to support optimal management of patients treated with immunotherapies for cancer," said Junaid Razzak, MBBS, MD, PhD, Professor and Director of Telemedicine, Department of Emergency Medicine, Johns Hopkins University and a member of the IO Telemedicine Working Group. As immunotherapy progresses, the ACCC Immuno-Oncology Institute will continue to lead efforts to ensure access to innovative therapies and provide all healthcare professionals involved in the delivery of immunotherapy with practical information and insights to support quality care of patients treated with immunotherapy for cancer. Download Immuno-Oncology: Connecting Science, Policy, and Real-World Care Delivery at accc-cancer.org/immunotherapy. The ACCC Immuno-Oncology Institute is supported by Bristol-Myers Squibb (charitable donation); EMD Serono; Kite, a Gilead Company; and Merck & Co, Inc. (educational grant). ACCC 2018 Trending Now in Cancer Caresurvey. Association of Community Cancer Centers and Advisory Board Oncology Roundtable. January 2019. About the Association of Community Cancer Centers (ACCC) ACCC is the leading education and advocacy organization for the multidisciplinary cancer care team. ACCC is a powerful network of 25,000 cancer care professionals from over 2,100 hospitals and practices nationwide. ACCC is recognized as the premier provider of resources for the entire oncology care team. For more information, visit ACCC's website at www.accc-cancer.org. Follow us on Facebook, Twitter, LinkedIn, and read our blog, ACCCBuzz. The ACCC Immuno-Oncology Institute is the leader in optimizing the delivery of cancer immunotherapies for patients by providing clinical education, advocacy, research, and practice management solutions for cancer care teams across all healthcare settings. New ACCC report helps incorporate cancer immunotherapies into practice. Appl Rad Oncol.